Everyone, myself included, seems to be enamored with the idea of a sliding barn door. The kit to create one isn't as cheap as you might hope and they can actually can be a pain to install. Jamie has come up with a version of her own that uses inexpensive hardware to create a DIY sliding barn door. If you are in the market, you might want to check it out. 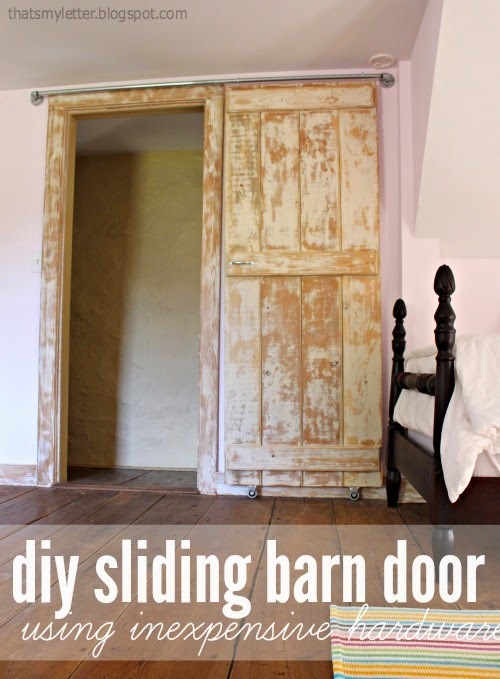 You can see Jamies inexpensive DIY sliding barn door over at That's My Letter.